7 AMAZING Styles To Stay Fashionable This Summer! It’s almost summer and we’re shedding all those extra layers we’d thrown on for winter. 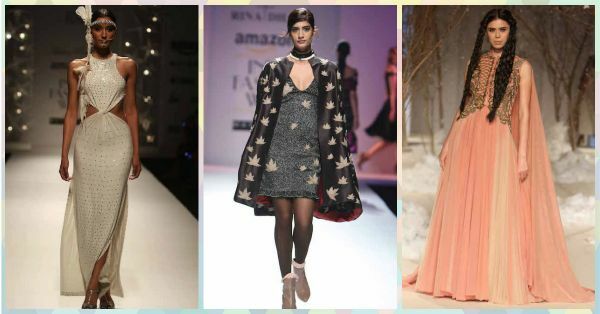 With the Amazon India Fashion Week in full swing, we’re totally gushing over the pretty drapes and fab silhouettes. This summer take some inspiration from the ramp and give your wardrobe a new twist. Here’s bringing you the 7 of the trendiest styles for the coming season. Malini Ramani We’re happy to announce that cut-out dresses are still rocking the runway and make for great summer wear. Why? Well, who doesn’t like an aired out midriff or back when it’s scorching outside? This #IndiaModern -themed white number from Malini Ramani will sure get temperatures soaring. Dress it up with heels or play the understated diva in plimsolls. Rina Dhaka A little cold shoulder never hurt nobody. The coming season sport cut-aways on your shoulders for the ultimate glam statement just like it was showcased at Rina Dhaka’s AIFW16 show. To keep things minimalistic, pair your cold-shoulder top with knee-length pencil skirt or a pair of high-waist trousers. Samant Chauhan It’s too hot to layer up during the summer, so opt for breezy dresses and tops that keep things light. As Samant Chauhan exemplified in his current collection at the AIFW16, flirty, feminine silhouettes are complete head-turners. 4. Capes To The Rescue! Rina Dhaka Capes refuse to die down and remained strong on the runway this season (partial blame goes to Ben “Batman” Affleck, who brought the caped crusader back into our lives). Pair yours with a pair of jeans for college or dress it up by wearing it over a dress for evenings out. 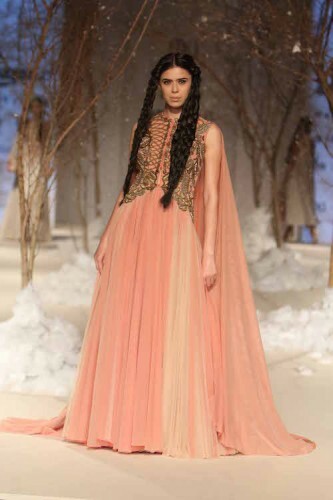 Gaurav Jai Gupta Gaurav Jai Gupta brought bell sleeves back with his AIFW collection and totally mesmerised us. Seen on international runways at the Milan and New York Fashion Weeks, bell sleeves look like they’re here to stay! Pair your bell-sleeved dress with a block heels for a 70’s vibe. Ruchika Sachdeva, Bodice Women’s knee or calf-length trousers cut with a wide leg are called culottes and were worn by gentlemen of the 15th and late 18th centuries. Back with a twist, the modern day culottes have wider hems (to resemble skirts) and are worn by women (men wouldn’t want to be caught dead in them anymore! ).